The importance of making our voice be heard by exercising our privilege to vote. They too can dream big and achieve, maybe even one day becoming President themselves. 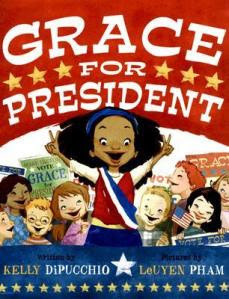 When Grace's teacher reveals that the United States has never had a female president, Grace decides that she is going to be the first. She starts off her political career as a candidate in the school's mock election! This is an empowering story which illustrates the importance of dreaming big and believing in yourself, the value of hard work, courage and independent thought. This colorful story offers a fun introduction to the American Electoral System. Which can serve as a starting point for curious young politicians in the making, it is an inspiring example of how we as a country choose our leaders. 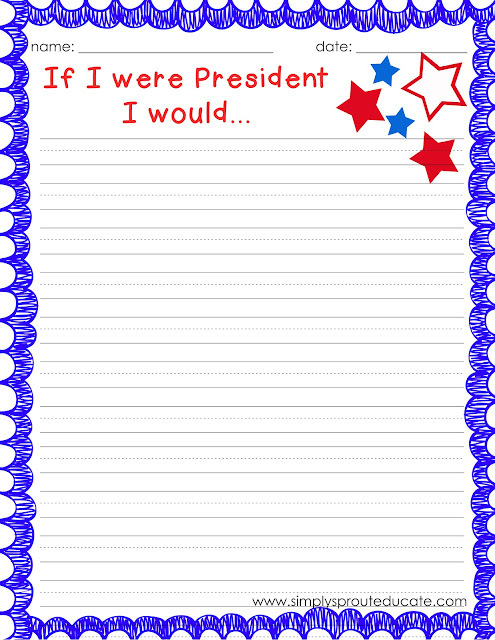 So as the conversation begins today and a new leader is announced, ask your students and children What would you do if you were President? You might be surprised at some of their answers. It offers a comical look at the role of President of The United States and takes a look throughout history at past Presidents, offering comical and sometimes embarrassing facts.